Since I live near the Mission (in SF), I see my fair share of bright clothing and unique accessories. Now usually I am strolling down the street in Nike athletic gear, looking slightly mundane. So, I was excited to see a new Nike creation that would fit right in with the hipster trends. The Nike Women's Gladiator Sandal x High-Top. I was quite excited as I went through my latest gear shipment because I absolutely loved everything. Usually I have a distinct favorite, but this times it was hard to choose. As these photos show, it looks like Nike has decided to take full advantage of all the colors of the rainbow this summer by using vibrant greens, blues, pinks & purples in their shirts and shorts. Even the sock have gotten cooler (literally and figuratively). The Elite Running Lightweight socks are super lightweight and have little holes in the top. They remind my of the new Victory spike (same color and style). I wore them today when I went to the gym and I'm a fan. I didn't even feel like I had sock on. My favorite thing about this season's clothes, however, is the material. In fact, Nike's use of material is one of the things that I love best about the company. I love the lightweight, seamless shirts like this one (above). They feel likea Nap pillows and they makes me want to snuggle with myself. Well, it looks like Michael Pollan was right. Tulips really do fulfill our desire for beauty. This little looker won out over the rose, the peony, and the orchid by gaining 36% of the vote. Floral ponderings just in time for Valentine’s Day. Sorry. I was having a flashback. Anyway, I think the point of this post was to explore flower preferences. I thought this topic was particularly relevant given that Valentine’s Day is swiftly approaching. So, back to the topic at hand. Flowers. In Botany of Desire, Pollan lists the Tulip as the answer to our (i.e. humankind’s ) desire for beauty. But I have never been a huge fan of tulips. While the Dutch found “the tulip’s lack of scent a virtue, proof of the flowers chasteness and modernism,” I find that fact under-stimulating (87). They viewed it as an “introvert,” with its “petals curving to hide it’s sexual organs,” and they liked that it was “aloof,” having only “one bloom per stem” (87). To me, all this makes the tulip seem dull. I guess this makes sense given my personal preferences. I am the type of person who looks for vibrancy. I loved Rome because it was warm, busy, colorful, and a little bit hectic—it felt alive. I understand that the perception of beauty is completely unique to the individual, and that is why I am curious to see what other people think. 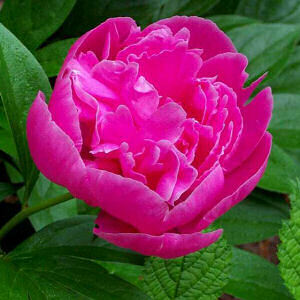 Pollan lists of the canonical flowers are the rose, the peony, the orchid, and the tulip (77-78). I have been thinking long and hard about my own favorite. The rose is a little overused for my taste, and the orchid is a little too delicate and serene. I like the fact that the peony has a scent, but what I love most is the fluffyness—it reminds me of a cloud, and I want to roll around in it. I guess of those four choices, my vote would be for the peony. I'm curious what others think. I made a poll (positioned on the right of the screen). I thought it might be useful for all the lads & ladies out there to know what their sweethearts like best, so vote or post a comment below. We finally made it into San Luis Potosi’s Centro Historico. I had visited downtown a few times last year, but this is the first time I have gone this trip. It was a perfect day, warm without being too hot, and the city looked as beautiful as ever. The buildings in the historic downtown come in luscious pink and peach stucco, and the streets were filled with people and various street vendors. Most building are gorgeous Spanish style architecture, with balconies and inner courtyards hidden behind massive wooden doors. My favorite parts of the Centro Historico, however, are all the jardines (the open square scattered every few blocks, that are lush with trees and dripping with fountains). Every time I see them I wish I had someone to sit with for hours. My favorite moments from today’s visit: The Mexican Tuxedo’s, hats, and boots in toddler sizes & The little 3 year old girl, sitting on the sidewalk singing a lullaby to her babydoll. I got a picture of her, but not on my camera. Hopefully I can upload it later. It was absolutely precious. I must give a well-deserved shout out to Leo Manzano, our resident interpreter. I don’t know how we survived last year without him. Whether he is translating a menu or negotiating a deal on cowboy boots (I enlisted his services for this), his patience never fails. When his career in running is finished, he would have an instant job as a translator. After our downtown adventures we went to a restaurant called El Mexico de Frida, named after Frida Khalo. Most of the great restaurants in San Luis Potosi seem to be right off of Avenida Venustiano Caranza (the main drag that leads into the Centro Historico). Frida is no exception. I would say it was tucked away on a side street, except that any building with a cobalt blue exterior can never be described as “tucked away”. Nevertheless, we had a little trouble locating it, and it took us asking first a parking attendant, then two bus-waiting-ladies, and finally some teenage boys at a Starbucks until we found the place. Once again, Thank God for Leo. The Starbicks boys told us that the restaurant was awesome, and they were right. Inside the walls were blue and red and covered with ornaments. There were many Frida Khalo pictures of course, but my favorite decoration was the table and chair hanging from the wall. We all enjoyed various Mexican dishes (I had enchiladas), as we sipped on delicious Argentinean wine. It was a lovely evening. I read a recent blog post by my friend Margaret Ryan. She noted that Refinery 29 claims that scrunchies may be making a come back. I don’t know why this fills me with such horror, but it does. As a youngster I used to love hair accessories…barrettes, clips, and scrunchies most of all. These days, however, they seem to me like a sad memory from the past. Perhaps it has to do with their overuse in my tween years (the 80s & 90s), or my forced use of them in dancing competitions. All I know is that the sight of them cause me to have a violent reaction. For example, as I walked into the Bird’s Nest for my semi-final round at the Olympics, I remember noticing a red velvet scrunchies on one of my competitors. I knew then that I would have to beat her. I could NOT lose to a scrunchie. Anyone who has walked around the Mission district of San Francisco lately would know that the hipsters have taken over. While I hesitate to classify myself as one of them, I have been inspired by some of their style choices. Skinny jeans, funky colors, vests, scarves, various layers. All have been fun to play with. But my favorite accessory is my Fedora. Well, actually, the one pictured belongs to my boyfriend, but I have tried very hard to claim it. People, especially girls, don’t really wear hats very much these days. When they do, they are often beanies or ball caps, meant to cover up a bad hair day. But the fedora, that you can wear with style. My favorite thing about it though, is it’s ability to alter my mood. When I am feeling mischievous, I will wear mine quite low, and it makes me feel like a newer, sassier me. Now that I am in Mexico, throwing it on reminds me of home and puts a smile on my face. Where to buy one: Fedoras seem to be popping up all over the place, so you can find them in stores like H&M or for something more unique, try one of the many clothing shops along Valencia St. I also bought a cool black felt one at a rather unexpected locale: Philz Coffee on 24th St. & Folsom (one of my favorite places to grab a morning cup). Look for Phil, the owner, wearing his own fedora most mornings.